The Express Road Safety Campaign is Express Trailers’ contribution as a transport company that uses the road, towards promoting safer roads for everyone. This campaign is targeted to everyone because everyone is a road user. Therefore, we are all being called to be responsible towards other road users, especially the more vulnerable ones such as pedestrians, motorcyclists, cyclists and athletes. They too have to be responsible on the road. Express Trailers is Malta’s leading transport and total logistics operator connecting Malta to mainland Europe, the Mediterranean, North Africa, China, North and South America, the Middle and the Far East. Express Trailers services over 20 consolidated depots across Europe directly to and from Malta offering full-load services to and from Malta to any address across Europe with a schedule of over 60 weekly export and import departures, servicing industrial, fashion and retail, food and beverage, oil and gas, general cargo, chemicals, waste products, car transportation, out of gauge cargo, personal goods and fragile cargo. Express Trailers also services the growing pharmaceutical industry in Malta with GPS monitored and temperature-controlled trucks and trailers and two temperature-controlled warehousing facilities purposely designed and built for the storage of pharmaceuticals, both licensed by Malta’s Medical Authorities. Who are Express Trailers ? WE ARE ORANGE is not just any other tagline. It combines all the differentiating qualities that make up our brand and the culture we promote. It is our collective brand identity. In our dictionary, being ORANGE means upholding the highest standards that define us as a brand namely excellence, experience and expertise in all we do and in how we do it. We Are Orange because we are a great team, proud of our achievements, of our success and of who we are. 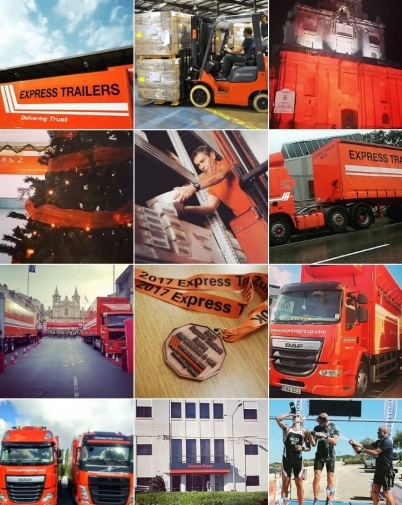 Being proud to be ORANGE means being proud to be part of Express Trailers. Road Safety is a principle that calls to be respected all year round and we hope to see other companies who operate on the road to come on board with their own initiatives. 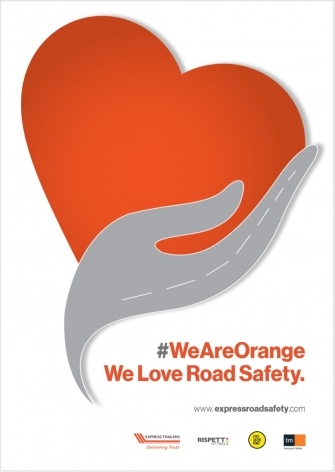 Your company can contribute by taking initiatives to promote safer driving amongst its people. Why did Express Trailers feel the need to launch this National Campaign? Express Trailers enjoys a very positive track record and widespread respect as a responsible road user. We decided to start this national campaign because traffic is very high on the country’s agenda and as Malta’s leading transport and logistics company, we feel compelled to commit ourselves to advocate more actively in favour of road safety on Malta’s roads. Who is Supporting the Express Road Safety Campaign? We are delighted to have found the support of Transport Malta and the Malta Road Safety Council who have embraced this campaign, have endorsed its spirit and have come on board with our ideas for promoting the important messages of Road Safety for everyone. How have Express Trailers’ people embraced this Campaign? Our drivers who drive our orange fleet, take safety extremely seriously and they play an active role in upholding our company’s commitment to safer operations. This is what earns us this privileged right to be Road Safety Ambassadors on the road. All our people take pride in their job and they do so by showing respect on our roads. Contact Us and let us know what your company is doing and how your initiative can earn your organization an Express Road Safety Badge.